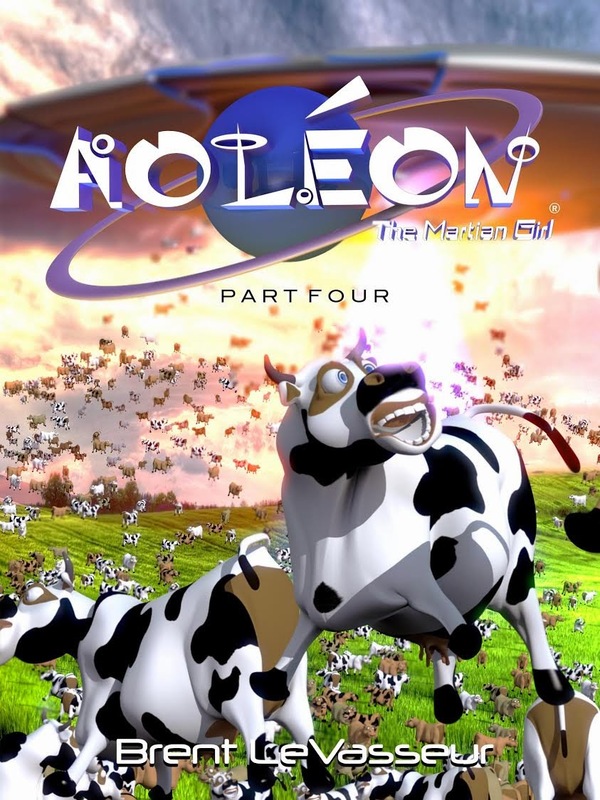 Aoléon The Martian Girl: A Science Fiction and Fantasy Saga - Part 4: Illegal Aliens picks up where Part 3 left off. Gilbert and Aoleon go to the Space Academy to meet with Bizwat. They both realize that their parents are in jeopardy. Aoleon's parents are in prison, and an attack is being planned against Terra (Earth) which would jeopardize Gilbert's family. They have to move quickly to save their loved ones. With the help of Bizwat, they make a plan. The action in this book is quick and exciting. Descriptions are vivid, and lively dialogue also helps move the story along. Cerebrus is a frightening villain and foe in this book. Action is both described and shown in spectacular illustrations. I think any young reader would be captivated by the pictures in this book. Part of the action takes place on Earth. It is interesting to see Lumion spies looking for milk in places like Nebraska farmland and the New Jersey Turnpike. It is also interesting to see the White House and military attempt to discover what is happening and try to intervene. There are more political overtones in this book than in previous parts of Aoleon's story. 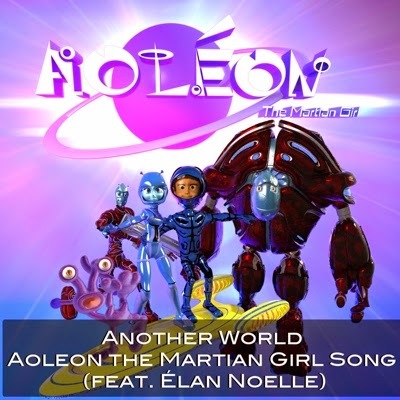 I always find the differences in Martian life and Earth interesting in the Aoleon books. I was very taken with the description of chiron (animals big enough to ride), as well as the great illustrations of these animals. As the characters have grown and matured over the series, the descriptions of their daily lives have too. For instance: "Aoleon hummed a strange and beautiful song that made Gilbert miss his home even more. Soon, they fell asleep from exhaustion. The next thing Gilbert knew, it was morning. Unlike Earth, where there is a predawn glow before sunrise, on Mars in a moonless sky, the transition from night to day is much more pronounced." Details in the book continue to fascinate, like Kyrios's rock house, with rock tables and chairs and levitating platters of food and beverages. The book moves briskly to an exciting cliffhanger. I believe that young readers will move along, too, and be eager to read the next installment in Aoleon's story. Thanks, Mary! This is a fun series for children. I appreciate your visit.